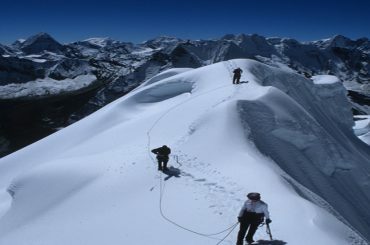 Peak climbing expedition is usually both technically and physically very challenging activity. Nepal with 1310 identified Himalayan peaks over 6000m including 8 out of 14 highest peaks in the world is unquestionably a premier mountaineering and climbing destination for thousands of climbers and mountaineers testing their skills and endurance and fulfilling their desire to summit a Himalayan peak and marvel the world from its rooftop. 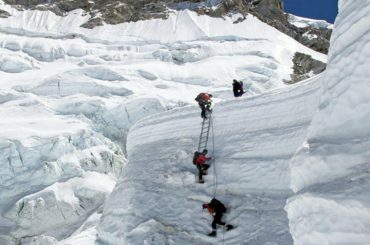 Currently there are 326 peaks open for climbing and mountaineering in Nepal. 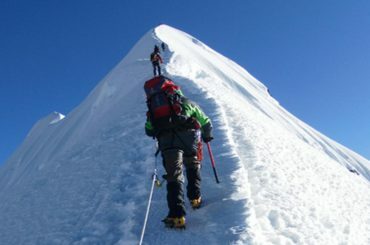 Our objective is to serve the climbing community with helpful information, advise and practical services. 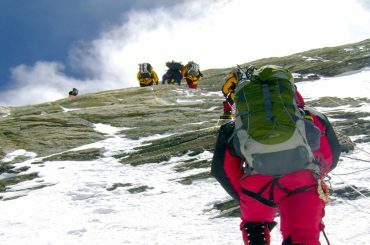 On our website you will find wealth of information to help you to understand and decide on your climbing adventure. The biggest and loudest is not always the coolest. We have put lots of work to make our website useful to climbers, adventurers as well as any traveller to decide, what is cool. Now it is up to you and we will be delighted if you find cool climbing adventure just because you have visited our website. Please let us know what you think and how can we improve. These pages were created in collaboration with people who live in the country and people who were exploring it, so there are different angles on different aspects and not just a sterile lonely opinion.